A new year and as we settle into back to school and work for most, would you be believe his is my busiest time for clients planning their travel adventures for 2019. So where are you heading in 2019? Now is the time to plan with plenty of specials and availability. Always remember the lowest and cheapest times are outside the School Holidays, but if you can’t avoid it, always try to plan your dates a few days prior to the School Holidays starting as the savings can be significant. So where to go and what are the trends. The most unromantic part of travel is the budget or lack thereof, how much are we wanting to spend and that’s being realistic with costs from booking it, to budgeting roughly how much you intend to spend each day. This leads me to what is emerging as a fantastic option for families with a controlled spend is Club Med. 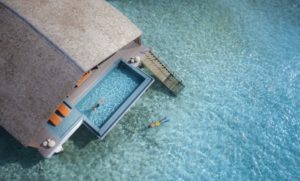 Gone is the stigma of yesteryear, all the properties are 4 stars above in stunning locations around the world with over 60 Club Med resorts across Europe, Asia, Africa, America or the Caribbean. Whether it is sun or snow, there is plenty of choices available and being all inclusive of meals, drinks including alcoholic, majority of activities and an amazing kids club program with staggered age appropriate groups to keep them busy and stimulated. Some Club Med options close to home are the ever-popular Bali, Malaysia, Thailand for a sun-soaked holiday or off to one the spectacular ski resorts with some recently opened in Japan and China. 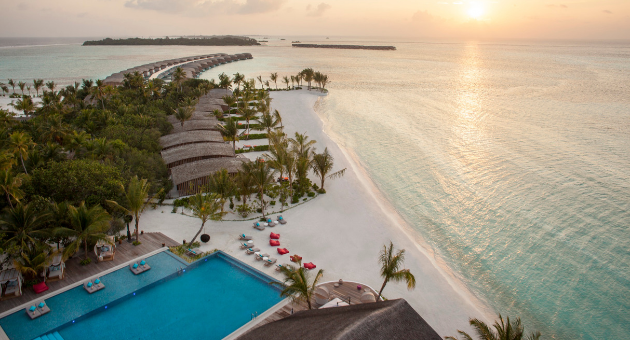 My top pick if you wish to head further abroad is the Maldives and there are two resorts to choose from family friendly Club Med Kani and stunning luxe option of Club Med Finolhu, throw in a Singapore stopover and you have a really memorable well-balanced holiday. Then if you wish to venture even further abroad there are many Club Med resorts dotted throughout Europe, USA and the Caribbean. When I say all inclusive, I mean all-inclusive with a choice of gourmet meals breakfast, lunch, dinner and in between, unlimited beverages and activities both for adults and children that are not run of the mill, with skilled people called GO’s taking you through the long list of things to do, from advanced activities and facilities catering from archery to trapeze. Or if relaxing is your thing there are spa packages on offer to purchase or simply enjoying the relaxing resort facilities, with bonus of adult only spaces, a great place to escape when the kids are busy having fun partaking in one of the many activities. So, there it is a great holiday that keeps the budget in check, with minimal to no outlay or additional costs when you get there. Be sure to keep an eye out on travel inspiration and specials that come up through my Instagram or Facebook. I had a very active childhood on the Gold Coast, chasing after my two older siblings, entrenched in the surfing and Surf Life Saving community - I even represented the Gold Coast, Queensland and Australia on a number of occasions! 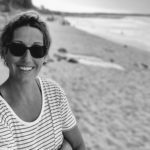 While I spent my younger years sharing the local and world stage with other well-known Gold Coast athletes, travelling and competing locally and abroad, I turned to my love of travel after retirement and became a travel agent with Flight Centre. I had to learn from the ground up. Obviously, I caught the travel bug, and while travelling through Europe I came across the picturesque town of Lugano, Switzerland, where I ended up living, working and travelling for 18 months as a nanny for three beautiful children. I eventually returned and met my husband Hoani (John), and we’ve done a LOT of travelling during our 14 years of marriage. We settled (briefly) in Melbourne where our first child Minka (now 10) was born, finally returning home to our beloved Gold Coast to have Koa & Jack (now aged 5 & 2). When I am not conjuring up new travel adventures, you'll find me hanging out with the family at our favourite (and our local) beach, Currumbin.